NL GROUP Services provides a professional surface cleaning solution for commercial businesses and community projects. Using professional industry equipment, trained staff and HSE compliant practices, our company has the experience to provide an effective cleaning solution. Make the most of your outdoor area with our external cleaning services. The external areas of your business are every bit as important as the interiors. Clean car parks, litter free flower beds, clean walkways, exterior walls and cladding all help to create the right impression for your customers and staff as well as creating a more healthy, pleasant working environment. Maintaining gutters helps to prevent more serious issues such as damp and structural damage. 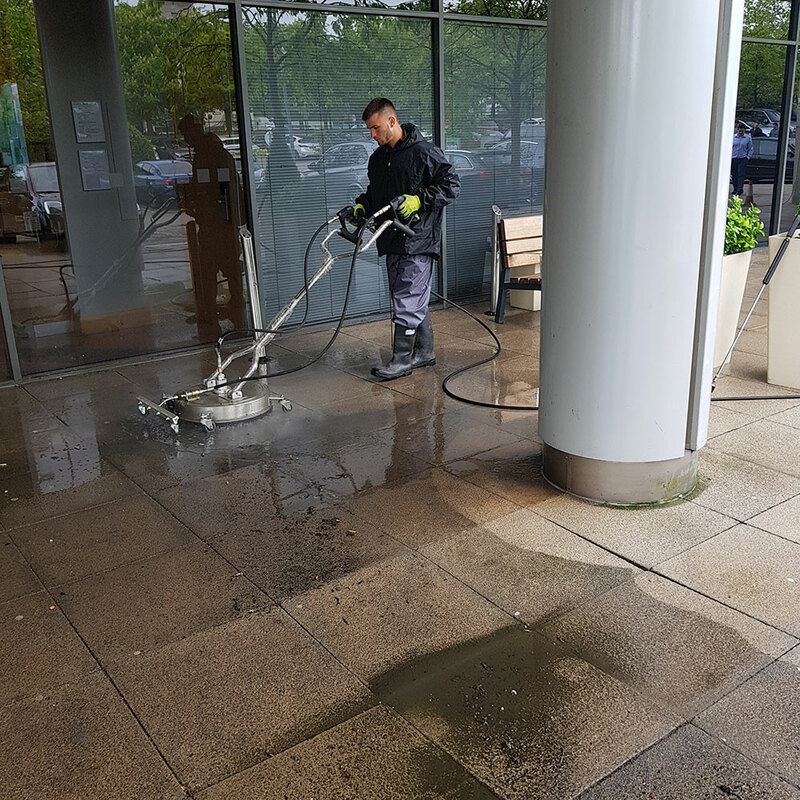 Clean Image uses the latest access equipment and fully trained operatives to ensure that high level cleaning is carried out safely and in full compliance with the individual health and safety regulations of each site. Cleaning the exterior of a building can be a difficult and time consuming task, not to mention the dangers of attempting the cleaning work if you are not properly trained and you are without the correct equipment. We have the resources to address all height and access issues associated with building cleaning and we always ensure that our work adheres to relevant health and safety legislation so your staff, visitors and the general public are safeguarded during necessary cleaning work.